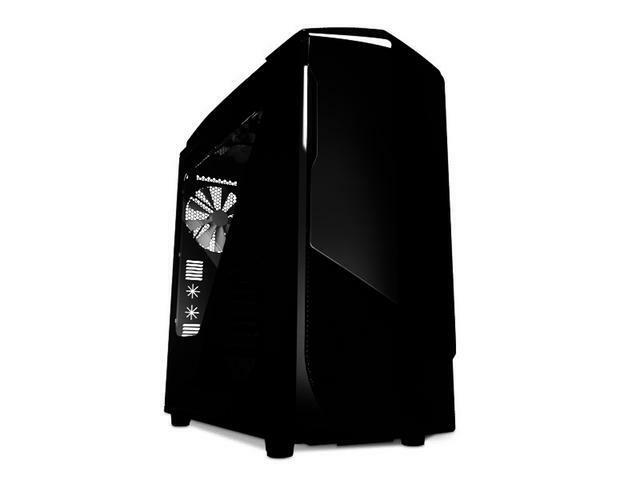 Baseline, performance, and ultra PC builds! We’re upgrading a few core items this month, but the total cost didn’t rise that much, because prices have gone down elsewhere. 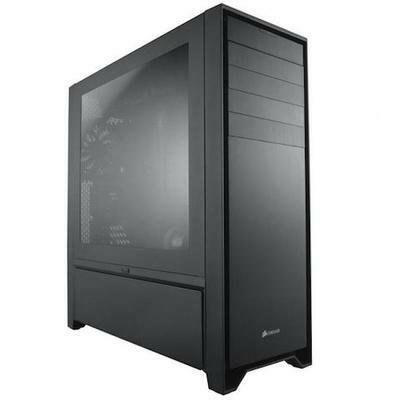 The biggest change is the case, which used to be a Corsair Carbide 200R but is now the Fractal Design Define R4. Now that this sweet chassis costs just 80 bucks, it’s hard to resist. 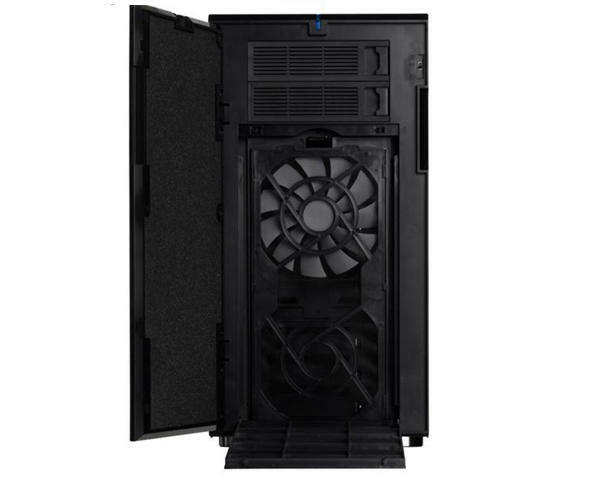 It has two excellent low-noise 140mm fans hooked to a fan controller, pre-installed sound-absorbing panels, removable and even rotate-able drive cages, and generally high build quality for the money. We also upgraded the power supply from a Corsair CX500M to a 650-watt Seasonic X-Series. 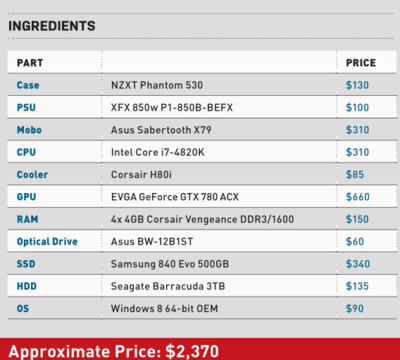 The new PSU has premium build quality, near-silent operation, and four PCIe connectors instead of the Corsair’s two. It ordinarily costs well over $100, so we couldn’t pass it up at $70. 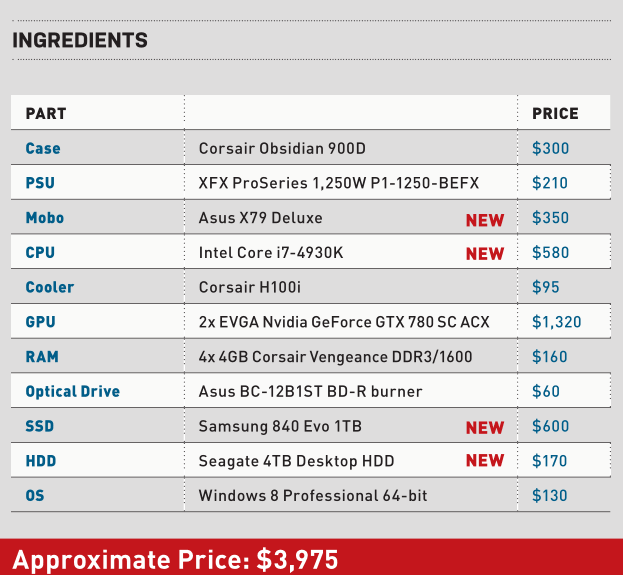 For the first time in many months, we’re not changing any hardware at this tier. We considered AMD’s new Radeon R9 290X video card, but at press time it was still about a week away from release, and we hadn’t seen anything other than the reference design floating around. We’d like to see some vendor-customized cooling with enhanced thermal and acoustic performance before we can recommend one over the EVGA GeForce GTX 780 with its “ACX” cooler, which has roughly the same gaming performance and runs totally cool and quiet. 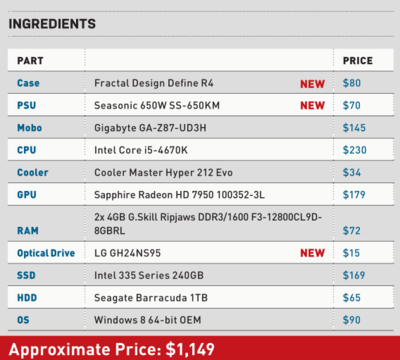 We did see some price dips on the power supply, motherboard, CPU, and SSD, which offset the steadily rising cost of RAM. We selected a four-piece kit because Intel’s X79 motherboard chipset works best in a “quad-channel” memory setup. This month, we finally upgraded the Asus P9X79 Deluxe motherboard with the new-and-improved X79 Deluxe. 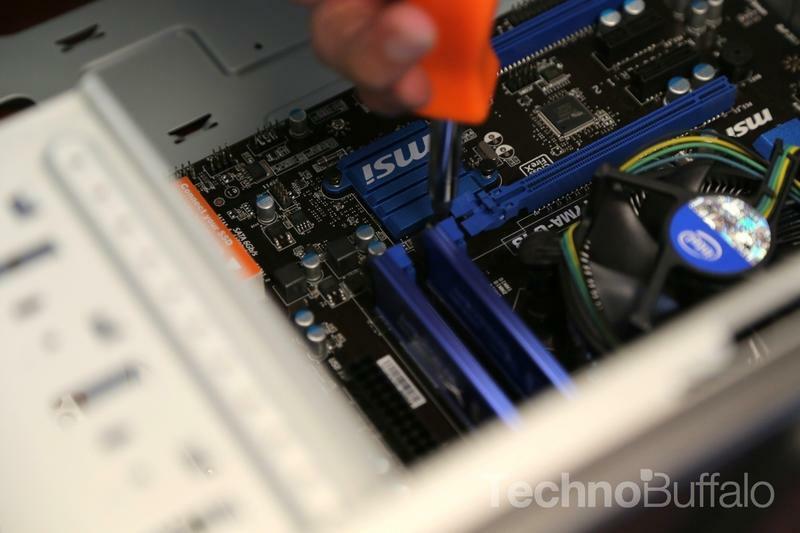 The new board has a host of improvements, and fi rst up is that it has double the SATA 6Gb/s ports, at eight total. Second, it has improved Audio from Realtek by going from ALC898 to ALC1150, and Wi-Fi has also been boosted from 802.11n to 802.11ac. Possibly the most important reason, though, is that the Bluetooth was upgraded from 3.0 to 4.0 (that was a joke). Also, since this mobo only recognizes Intel’s new Ivy Bridge-E CPUs out-of-the-box, we upgraded from Sandy Bridge-E to Ivy Bridge-E, as well. We also upgraded the storage subsystem this month, so both our SSD and HDD got a refresh. First, we decided to give our Ultra build a terabyte drive. We know the Samsung 840 Evo is not as fast as the 840 Pro, but the Pro was not available in a 1TB size when we went to press. It also seemed time to upgrade our HDD from a 3TB Seagate Barracuda to a 4GB unit, now that 4TB drives are actually affordable.